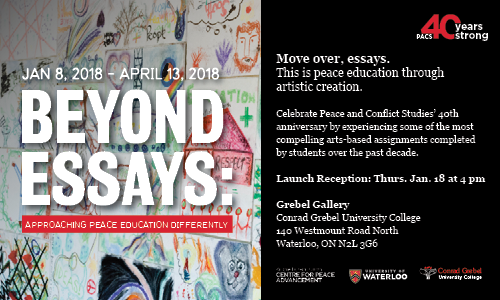 Every two years, orchestra@uwaterloo holds a Concerto and Aria Competition that is open to University of Waterloo students and recent graduates, and is judged by a panel of professional musicians. Winners perform as soloists with the orchestra in a public concert. On Saturday, January 27th the actual competition takes place. The evening competition is open to the public. Three to four finalists will perform in front of a jury to win the honour of playing a solo with the orchestra@uwaterloo. Contestants include pianists, strings, and woodwind performers, as well as voice students. The idea that Mennonites moved across the Russian Empire as settlers is not new. However, recognition that Mennonites frequently colonized land belonging to Muslims has rarely been incorporated into historical analysis. 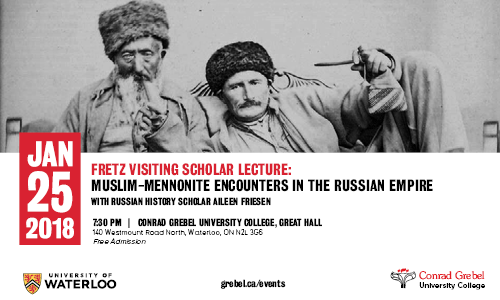 This public lecture with Aileen Friesen titled, "Muslim-Mennonite Encounters in the Russian Empire" will explore that little known history. In 1817, the 20 year old Franz Schubert wrote a song for voice and piano about a fish. Two years later, he created a set of variations from this delightful theme which became the 4th movement of his immortal quintet nicknamed “The Trout”. Listening is easy, and listening is difficult. In congregational ministry, in pastoral counselling, in worship settings, in spiritual direction, and in an individual’s walk with God, listening is an important skill that we can learn and re-learn. Join us for a one-day exploration of the skills and the spirituality of listening. Founded by tenor Bud Roach in 2008, Capella Intima has carved out a niche for itself in the Toronto early music scene by presenting the vocal chamber music of the 17th century in exciting concerts of rarely-heard gems. With motets and cantatas for up to four voices interspersed with readings from composers, performers and critics of the period, audiences are given context to music that has only come to light in recent years, thanks to the renewed interest in historically informed performance.